Choosing a sturdy ladder is key. It’s time to get rid of that old rickety thing you’ve been using and upgrade to a stable ladder. Place it a firm, level base and ask a friend or family member to hold the ladder in place while you climb up and down. If your roof has a low pitch and you’re comfortable working from the top down, it can be easier than working from the ladder. Just save it for a bright, sunny day when your chances of slipping and falling are lower. 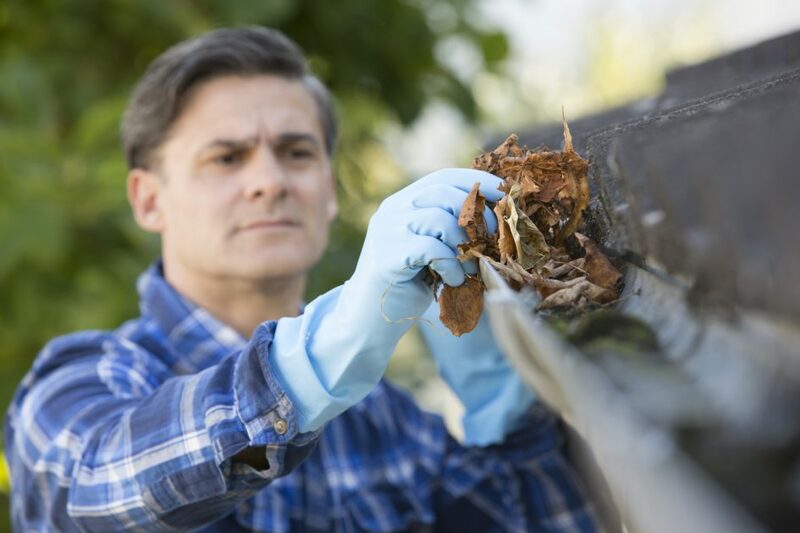 Before you clean out the gutters, wipe or spray stray leaves, sticks and other debris away. This way they won’t find themselves back in the gutters shortly after you’ve cleaned them out. Use a leaf blower to blow dry leaves out and if there’s anything stuck in there after this step, use a plastic scoop or a trowel to get rid of the gunk. Pro Tip: have gutter guards installed to prevent new leaves from falling into the gutters. It will save you lots of time down the road. North East Home Improvement is the experienced, local choice for gutter installation, maintenance, and repair. We offer professional service at a cost that you won’t shudder to hear. Call us today at (203) 321-6695 to learn more about our services.